When it comes to capital markets and the flow of money, what’s about to happen is going to be like the Pacific Ocean trying to go through a fire hose! It’s going to burst at the seams during the 2020 presidential election, which is already starting to make the news with potential candidates. Michigan, Ohio, Pennsylvania, Florida, Arizona, Nevada, Colorado, and New Hampshire are all swing states… But one is going to be crucial to who wins the election. Michigan will likely help decide, if not be the key decider for the next presidential election, meaning both parties, President Trump (who has already been favorable to cannabis publicly) and whoever his opponent is, will likely be openly supporting the decriminalization of cannabis in 2020. Michigan just went fully legal, and NO presidential candidate is going to mess with it, especially President Trump, who knows he won the last election by knocking down the blue wall. Approved by nearly 56% of voters, the pro-marijuana measure known as Proposal 1 (a.k.a. the Michigan Regulation and Taxation of Marijuana Act) was unanimously certified by the State Board of Canvassers on Monday, November 26, and will go into effect ten days later on Thursday, December 6. Specifically, the law will allow adults in Michigan over the age of 21 to possess up to 2.5 ounces of cannaibs and grow up to 12 plants per household. Still, the easing of cannabis restrictions is already starting to take effect throughout the state. Although the new law doesn’t take effect until the sixth of December, prosecutors in Michigan are already quietly starting to dismiss low-level marijuana criminal charges. For example, Macomb County Prosecutor Eric Smith sent a memo telling assistant prosecutors to begin the process of dismissing low-level marijuana charges, such as possession or use of small quantities. In Wayne County, they’re even considering retroactively nullifying the cases of those who have already been cited for marijuana possession and use: “In the coming weeks, we will assess the tickets that have already been charged, as well as those pending review, taking the new law into consideration,” stated Wayne County Prosecutor Kym Worthy. 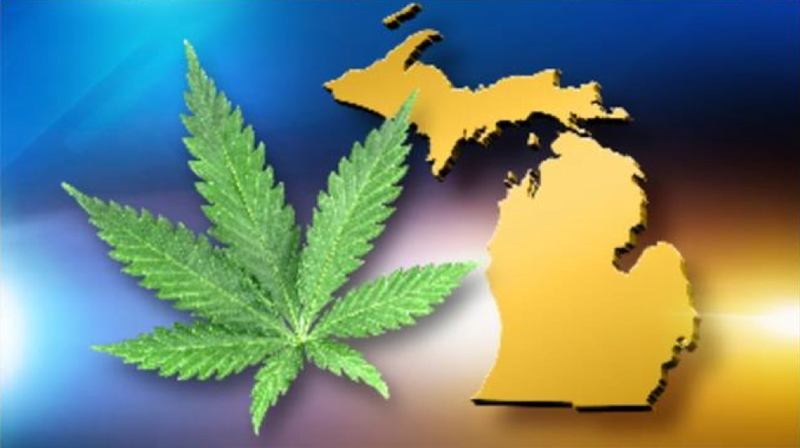 Recreational marijuana is most definitely a welcome development among Michigan’s government and citizens, as it is expected to bring the state between $112 million and $275 million annually in tax revenues; these funds are expected to go towards medical research, roads and infrastructure, and schools, among other high-need areas. Cannabis businesses are also celebrating in Michigan, where forward-thinking companies are staking their claim in what is projected to become a marijuana Mecca. For instance, vertically-integrated cannabis company Acreage Holdings recently announced the planned acquisition of multiple marijuana-centered assets throughout the state, including a 55,000-square-foot facility in Flint. It’s bringing jobs where they are so badly needed and will push presidential candidates over the top from being positive about cannabis to running on its nationwide legalization. This is coming, and it’s happening now! 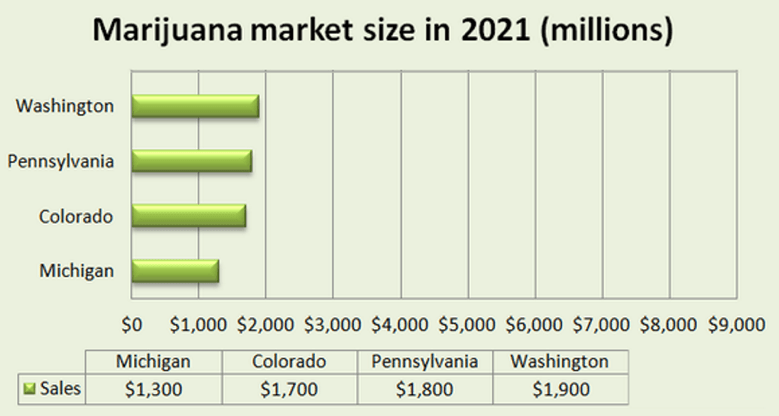 Get ready: over the next 2 years, I believe we are positioned to make a potential fortune in the cannabis space. In fact, once the President fully comes out with it as a campaign promise, it’s over – the stocks and industry will go vertical!